If you are suffering from dental pain or discomfort, it may be a sign that you require Endodontic (root canal) treatment. We have outlined some common symptoms and possible causes below. If you are experiencing any of these symptoms then contact us immediately. Possible problem: If this discomfort only lasts a few moments, it may mean the pulp of your tooth is inflamed. However the sensitivity may be caused by a small amount of decay, a loose filling, or recession of your gums. What to do: If you are experiencing sensitivity, try using a de-sensitising toothpaste. If this is unsuccessful, see your regular dentist for further advice. What to do: Wait a few weeks to see if the sensitivity subsides. If the pain persists or worsens, see your regular dentist. Possible problem: There are several possible causes of this type of pain: decay, a loose filling or sometimes even a crack in the tooth. There may also be damage to the pulp tissue inside the tooth. What to do: The first thing you should do is visit your regular dentist for an evaluation. If the problem is pulp tissue damage, your dentist may refer you to an Endodontist for root canal treatment. Possible problem: This pain most likely means that the pulp in your tooth has been damaged either by deep decay or physical trauma. What to do: See your general dentist for further advice, or contact an Endodontist to save the tooth with root canal treatment. Possible problem: You may have an abscess, which has caused an infection in the surrounding tissue and bone. 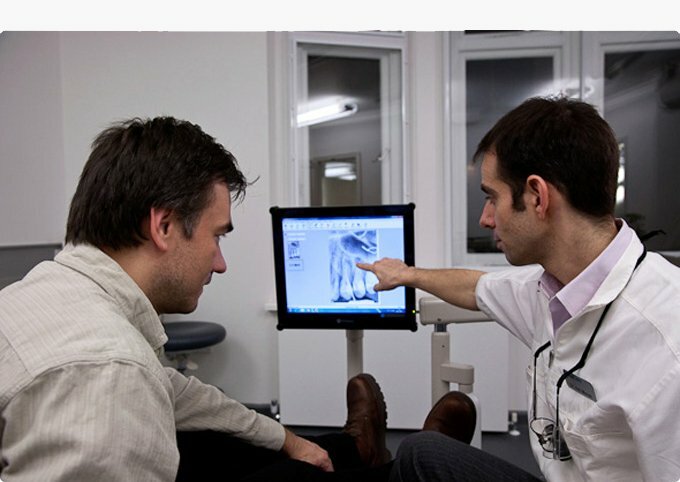 What to do: See an Endodontist for evaluation and treatment to relieve the pain and save the tooth. Possible problem: The pain from a sinus headache is often felt in the face and teeth. Grinding of teeth, a condition known as bruxism, can also cause this type of ache. What to do: For relief of a sinus headache, we recommend you see your GP. For bruxism, you should consult your dentist. If the pain is severe and chronic, see an Endodontist for evaluation.